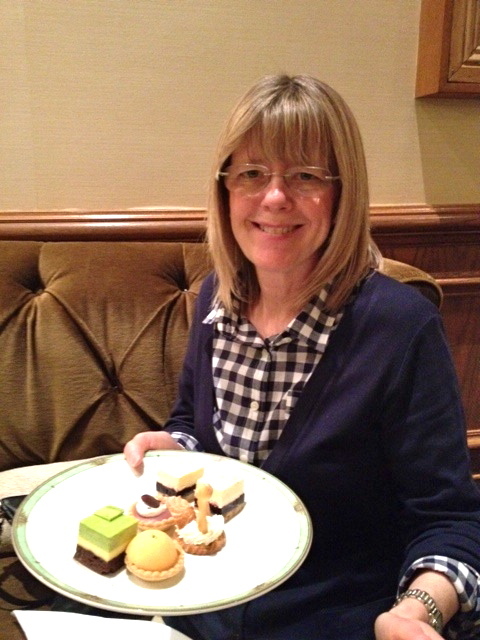 Over my holiday vacation, I revisited Palm Court at the Drake to enjoy their high tea service with my Mom, sister Lauren (who was in town from New York), and sister-in-law, Melissa. We met at the Drake on a chilly winter afternoon. It was very crowded, but luckily they were waiting for us, and we were seated at a nice round table in a quieter area of the grand room. I ordered “my usual” (chamomile citrus), while the girls ordered an assortment of black teas. I’ve shared with you the menu of assorted breads, sandwiches, and pastries before, so be sure to check out the photos below as the offerings were slightly different than before, especially the desserts (the spiced cheesecake with the cute little gingerbread chocolate was my fave). 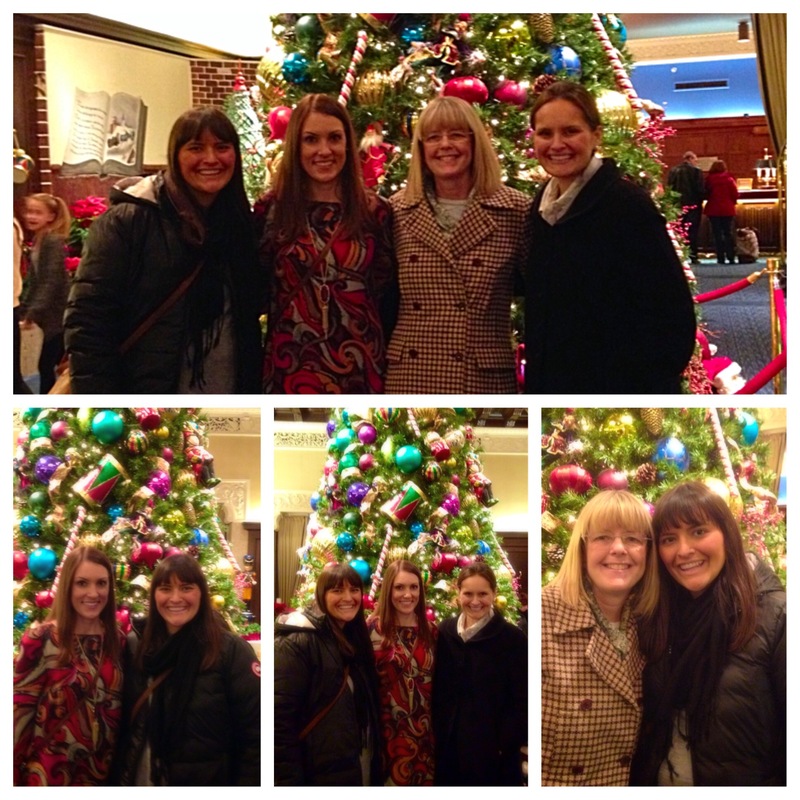 It was fun to just relax from the busy holiday season to enjoy time with the ladies in my family. It was extra special for us to have time with Lauren, who has three adorable small children (two hilarious girls and a sweet baby boy), which means she’s usually pretty busy, as you can imagine. Thank you for organizing, Melissa! We all know this winter has been unusually awful, so it’s good to find meals and recipes that make you feel warm and cozy as the snow falls and the wind blows. 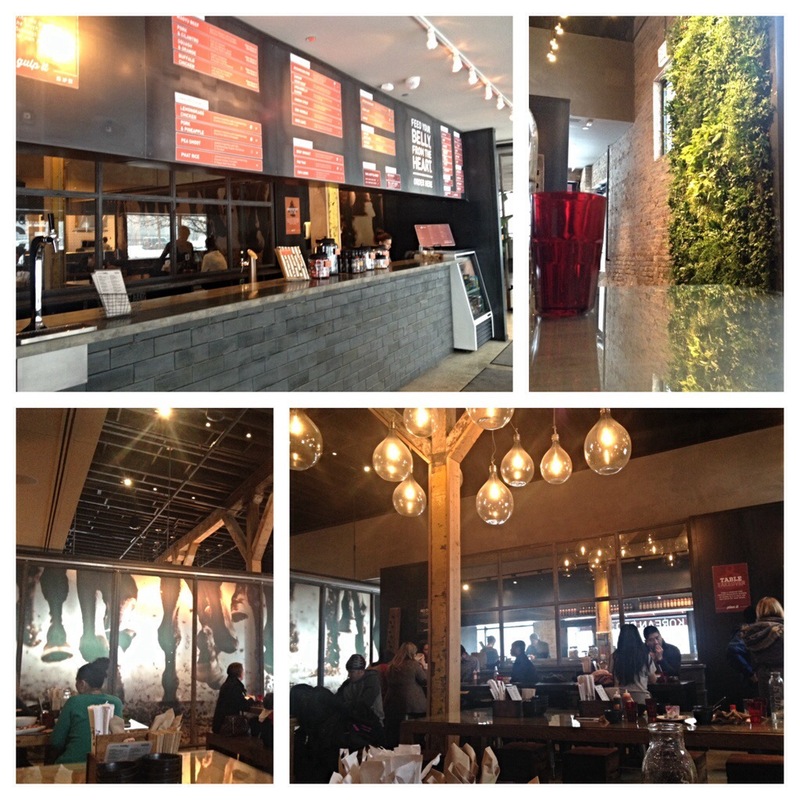 Enter Urbanbelly. Nate suggested this little gem after our visit to the Chicago Auto Show last week, and it was excellent. 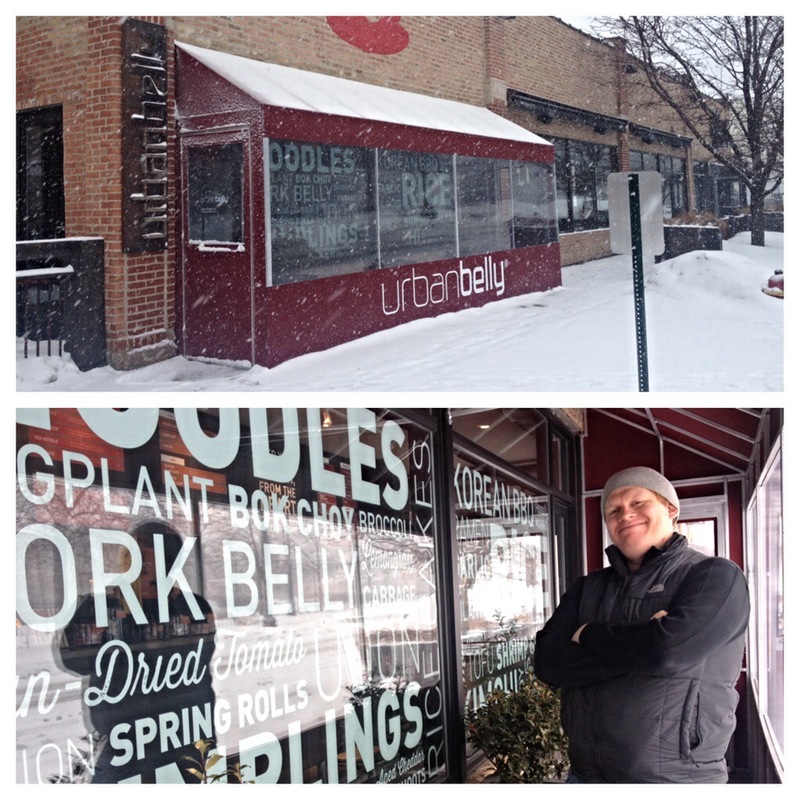 Urbanbelly just joined our neighborhood months ago, housed in the same building as bellyQ on Randolph Street. We walked in, and were warmly greeted by a host/waiter standing behind an order counter. He told us to take our time browsing the menu. We decide to sit and one of the restaurant’s communal tables to decide what to order. Nate returned to the front to order. We opted for three pieces of pork and cilantro dumplings that are pork pot stickers with soy-balsamic sauce and pickled cabbage. 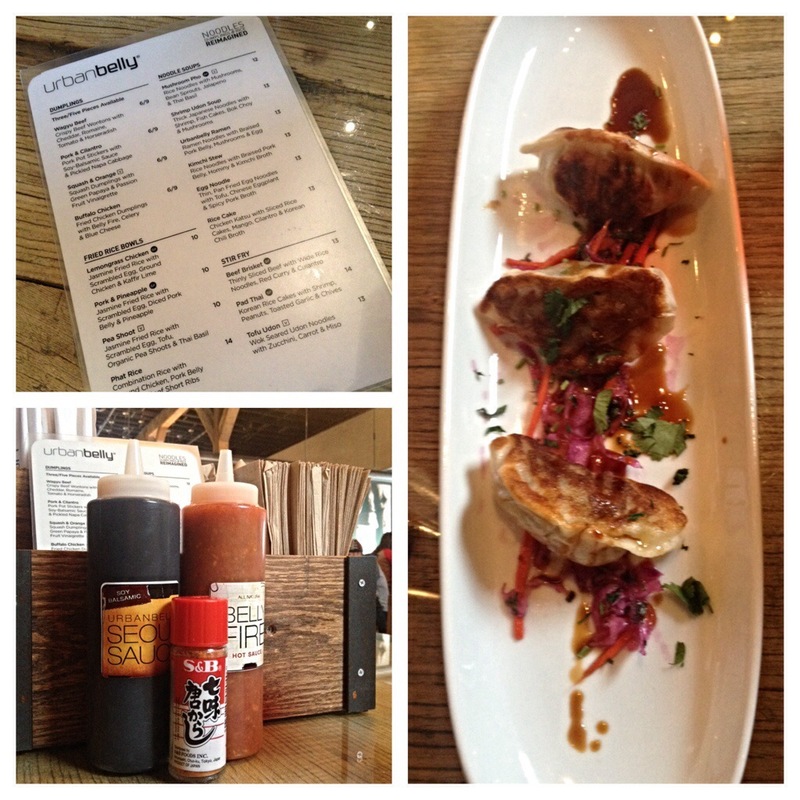 The sauce made these pot stickers–hands down. I added more sauce that was on the table to enjoy. 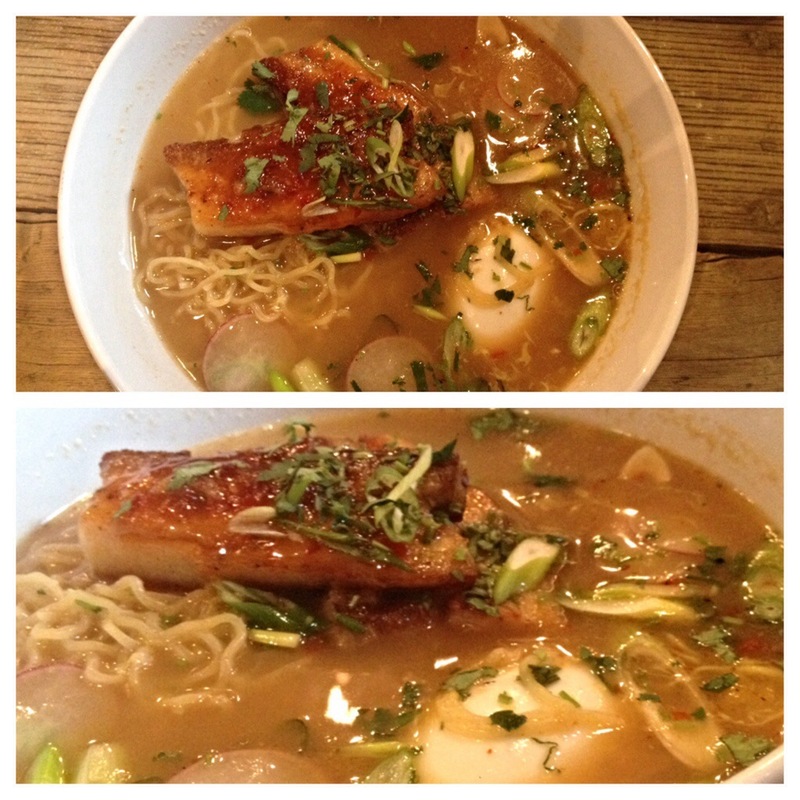 Next for me was the Urbanbelly Ramen: Ramen noodles with braised pork belly, mushrooms, and egg. The pork belly melted in my mouth. The broth was flavorful with a kick. Nate had the Shrimp Udon Soup: thick Japanese noodles with shrimp, fish cakes, bok choy, and mushrooms. 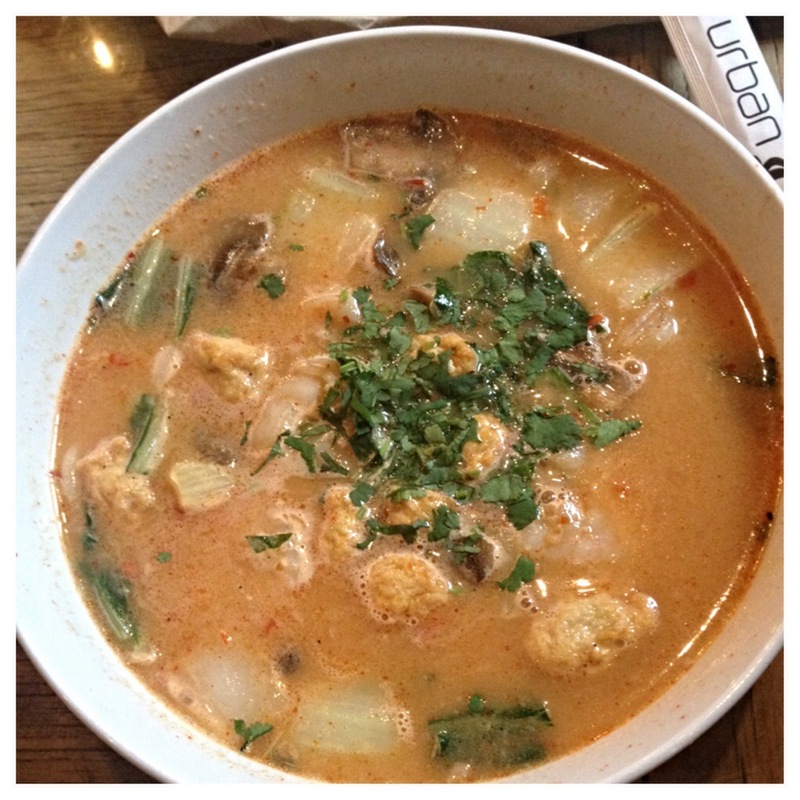 From the number of pepper flecks in his soup and the amount of water we drank, I’d say his had some heat! 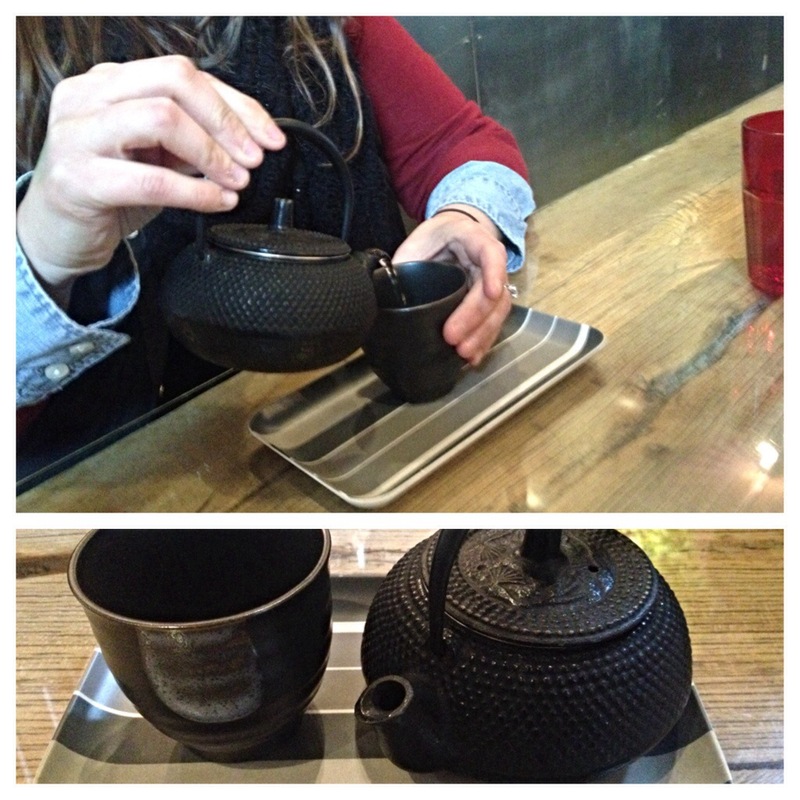 I finished my meal by enjoying a small kettle of Jasmine tea–delicious. Nate tried it and loved it, too. Happy Mother’s Day weekend to all of the mothers out there! I need to give a special shout out to my extraordinary mother. 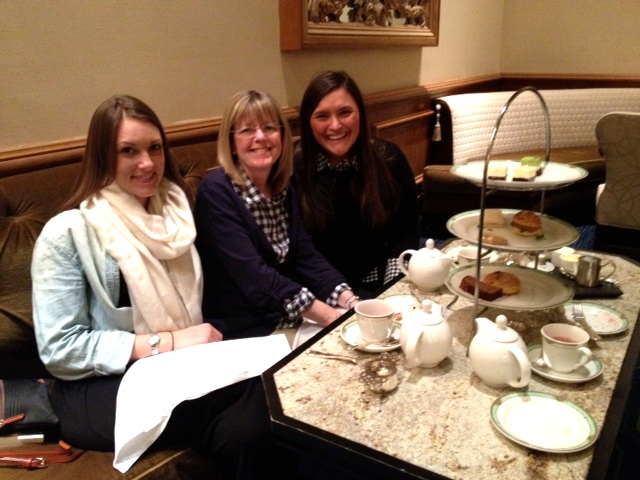 She has taught me to love many things, but one thing that always brought us together was our late night cups of tea. 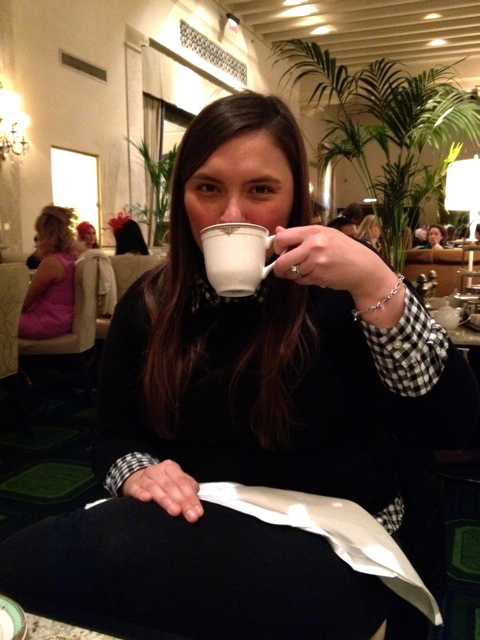 So where better to bring her than for tea at the Drake? 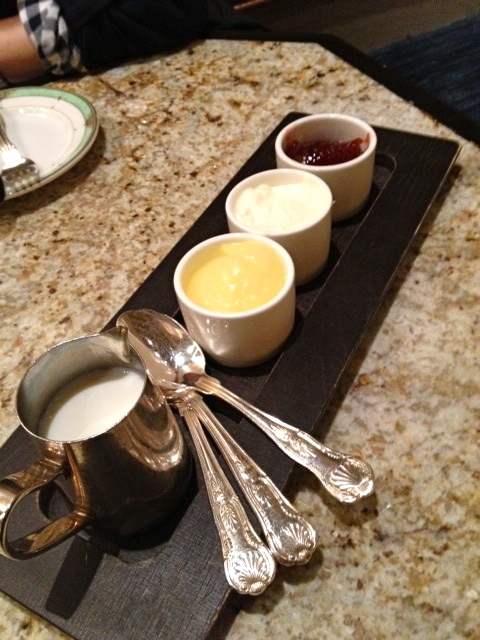 My sister-in-law, Melissa, rounded out our reservation for three for tea. We arrived to the open and airy room that was surprisingly loud. 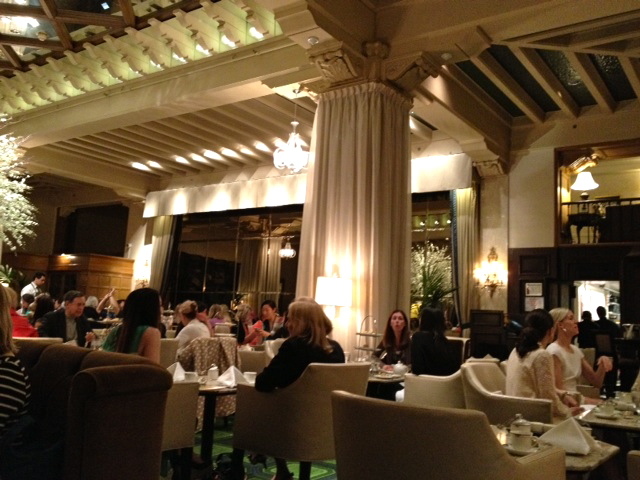 I always imagined ladies who tea to be dainty and quiet, but the acoustics just carried the sound. 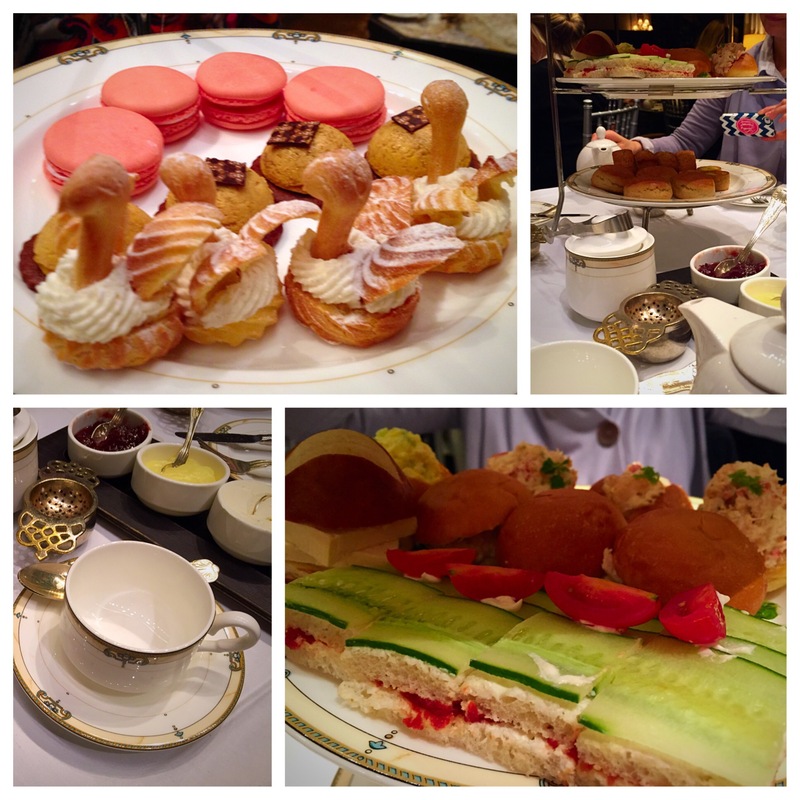 Plus, tea is a popular spot for parties and tourists alike (we saw both), so I guess I shouldn’t be that shocked. Melissa: Wild Blossoms & Berries – Blackberry and black currant, infused with lemongrass, hibiscus, chamomile, mint, licorice root and spices – its best without milk. All of the teas are served loose. 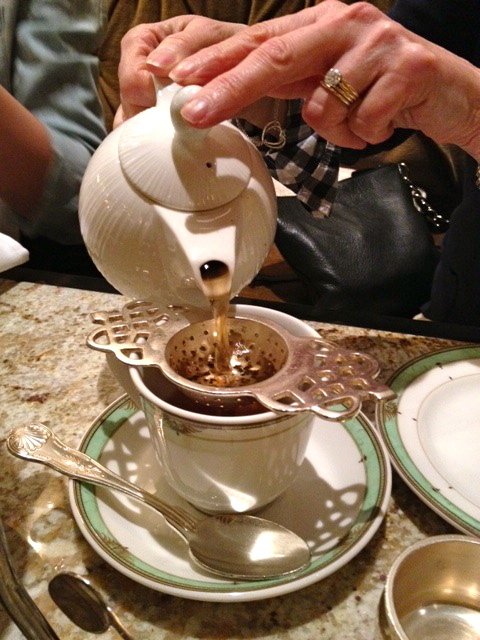 You get your own tea pot with the loose tea and hot water inside, and then you must strain the tea when serving. (We kept forgetting this part!) I thought my tea was delicious, until I tasted my Mom’s…it was awesome. I had a second sample of hers it was so good. 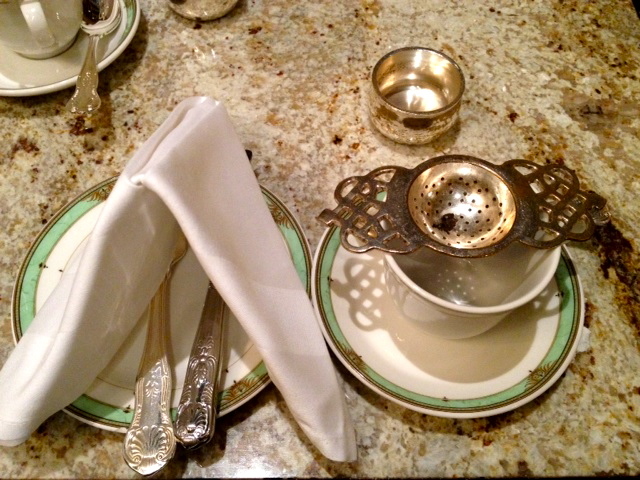 What’s so great about the tea service is that the waiters keep coming around with hot water, so the tea is endless! 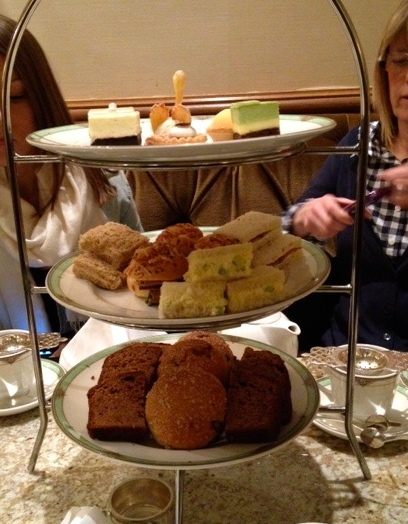 The “bottomless” tea pairs well with the three tiers of charming breads, scones, finger sandwiches, and decadent desserts. Even though I requested extra egg salad sandwiches (who knew I liked egg salad? 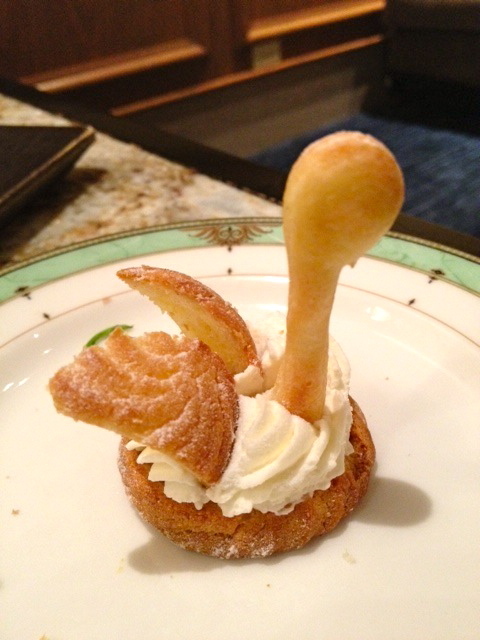 ), I would say the pastries were my favorite. There was one that tasted like a peach pie–I will dream about that little bite of heaven until I return! We stayed for awhile and chatted, never feeling rushed. 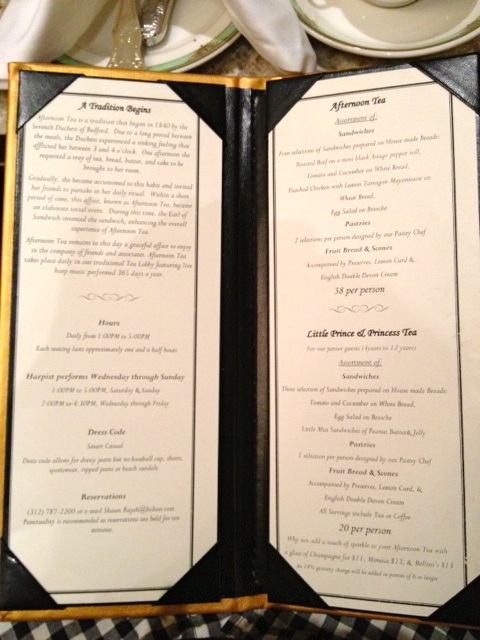 The service was excellent, with not having to wait long to be seated and, like I said, the hot water was flowing. Ha. 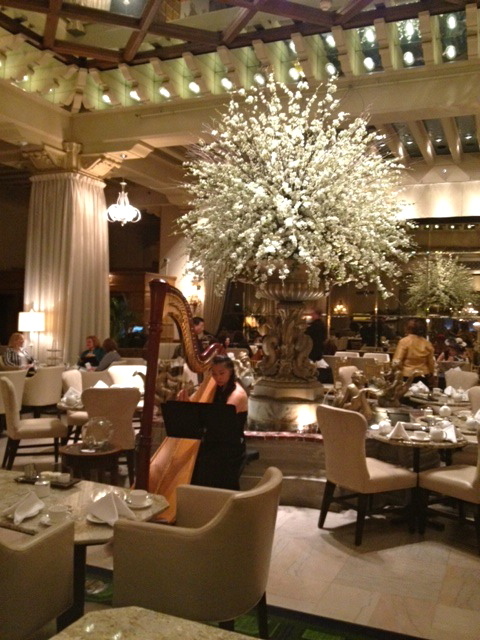 Oh, and the harpist—when she wasn’t playing “Happy Birthday” for different groups—was a nice touch. There’s something about a harp that’s so soothing, don’t you think? I think my mom enjoyed herself…I know I did. Do I smell a new tradition?